Chakravartin Ashoka Samrat 12th April 2016: Ashoka sought blessings of Ma and blessed to succeed in freeing my family and would resume what was left when given a chance. Kaurvaki was sure Ashoka would understand her what was in her heart. She ran to the temple. Sushim spoke to Nayak about Kalinga’s war and if any soldier died. Nayak replied that he didn’t let war situation arose. He singlehandedly won Takshila and Kalinga. Kaurvaki fell while running. 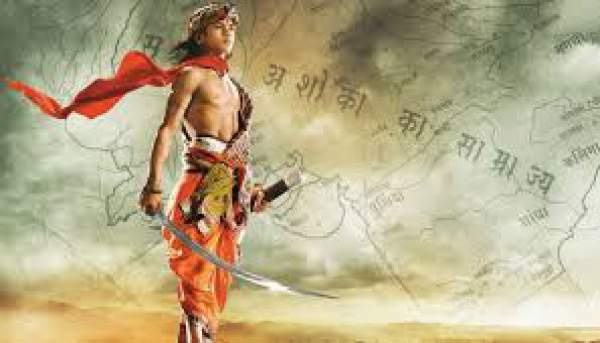 Ashoka sent Acharya and Nayak in different directions while he and Sushim went in another direction. They all said Jai Janani. Kaurvaki heard and resumed running. Ashoka left with troops. Kaurvaki called, but he couldn’t hear. She broke down. Helena said Bindu was standing defeated in his courtroom waiting for her to decide his fate. Her freedom was snatched by his father, and his family would pay for it today. Worst death is death when one dies in regret, but his regret would not last long as she would give the death penalty. She was not soft-hearted. Bindu agreed as she doesn’t have their blood. They are different as they are still addressing her maa and would not regret it. Helena taunted him that he lost but didn’t give up. Nicator took the sword and aimed towards Bindu when Siamak spoke and said not to penalise his father. Helena said that Siamak would kill as when loved one kills the pain is bigger. She saw the pain in Justin’s eyes and wanted to see in Bindu’s eyes. Kaurvaki was in the temple and said that if they also felt Ashoka was an enemy, and he is parting forever and sat on the floor crying. Lightning struck. Kaurvaki heard the bells ringing and saw threads on the tree. Ashoka knew its meaning. It meant Mata has heard their prayers and everything was clear. She turned to go when Jagannath blocked her and said that her love story remained incomplete. God showed that they didn’t want you to spend life with dassi-putra. She said she got Mata’s blessings and going to Patliputra and asked him to let her go. Helena said that her father snatched right from unani to sit on the throne. Bindu’s death was a perfect lesson to everyone. Dharma told her to stop. She spent so many years still doesn’t recall her motherland, and their land is known for knowledge. Charu added that the culture of their land is better than Unani and will always be. Helena clapped. All dil’s are speaking the same language. She knew the truth. Bindu said it was all about time. There was a time when her father begged for life from his father and he witnessed it. He took 500 elephants from magadh. He won over Paras and many more areas. Helena told everyone to be quiet as she couldn’t tolerate it. Siamak asked him to kill him. Bindu gave him his swear as no father could see his son dying before his eyes. Siamak smiled at Nicator and acted to be heartbroken. Nicator gave him his sword. Bindu closed his eyes. Next articleTashan-e-Ishq 12th April 2016: Devika Khanna’s mystery solved !